With other cub packs from the Northern beaches District we will meet at Milsons Point station, then walk across the harbour bridge, visit the Pylon Lookout. After lunch we'll go to Wynyard and catch a bus back to Warringah Mall. Buy a Sunday Fun day ticket ($2.50) beforehand to cover all the public transport. Families welcome. We are going fishing at North Narrabeen this week, weather permitting. Please find the Permission note (A1) below . Please bring with you. If possible, please practice rigging your fishing line with a hook and sinker as we will not have time to assist every child with this. Bait will be supplied. We will have guest presenters who will share their fishing knowledge with us. Cubs wear uniform. Bring a raincoat. I will try not to cancel, unless there is thunder, lightning or torrential rain. If you have spare rods please bring them. Kids fishing rods are $9 at KMart. This is a combined night with Harbord Cubs. Please find the A1 permission note below. Check this website after 5.30pm on the night to see if it is called off. Get your Level 1 or Level 2 Swimmers badge on this night, or just play Pool Games. Parents please help on the night. 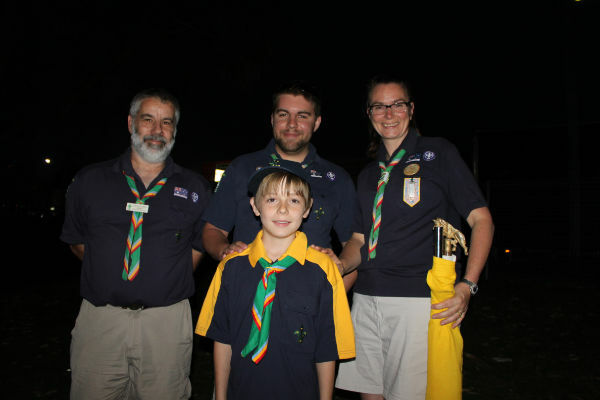 On Wednesday night we invested two new Cubs, Joseph and Ryan, pictured here with Skipper, Baloo and Rikki. Welcome to the world of Scouts! You are invited to the 1st Collaroy Plateau Cub Scout Halloween Disco! Cost: $10 Come along for a night of dancing, games and Halloween fun! Bring in cans of food for your chance to win an awesome Halloween prize! 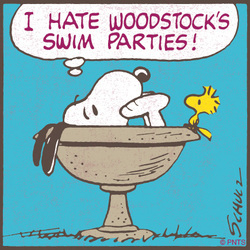 Don’t forget to wear a great costume! Bring your bike and helmet. Wear long pants in case of stacks. Brothers, sisters and parents get in on the action too! There will be lights and the gate will be open for parking. Please bring an A1 note, from below. Please ring Rikki in case of weather to see if it is on. 9975 7205. 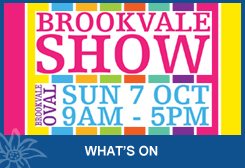 Hi there to all those who enquired about Cubs at the Brookvale Show. We would like to invite you to try Cubs for up to six weeks. Please come next Wednesday night 17th October, from 6.30 to 8pm. Parents are welcome to stay and watch, but be warned, it's noisy! Any enquiries, please do not hesitate to contact Pamela (RIKKI) on 9975 7205 or 0427 353 594. At Cubs, we have an opening parade, play games and learn about things like the environment, outdoor cooking, canoeing, sailing, hiking, play more games, maybe sing, act, do crafts, have a closing parade, and earn badges! First week back is Slimey Science Night. 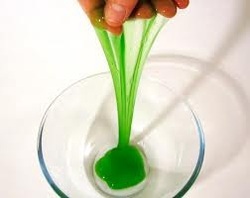 Learn some cool facts with lots of hands on experiments mixed in with a few games! This term we will be looking at the different tribes in North America, including their food, crafts, how they lived and what they did for fun! As well as our usual Boomerang work, we will also be working towards two other badges, Level 2 International culture and Scouts in Action blanket badge. On the last weekend of the school holidays Brookvale - Curl Curl Cubs have an opportunity to go to the snow! The bus will leave from Harbord Scout Hall on Friday night and return on Sunday evening. Cost includes coach, all meals, accommodation. You need to supply your own suitable clothing and bedclothes. We will be staying at the Scouts own snow lodge in Jindabyne. Activities include tobogganning, snow ball fights, sight seeing up the Thredbo chairlift, making a snowman (or snow penguin!) and making new friends with the other Sydney North Cubs that are going. There are a limited number of parents welcome to come and assist with the cooking and running of the camp. So if you feel your cub is too young to go away on their own, you could come as well! Cost is $190 per person. Come along to the Sydney North Region Cub Scout Olympic Fun Day at East Ryde School on Sunday 19th August 2012. The original June date was washed out - if you paid in June you don't need to pay again but you do need the new A1 form below. Great Olympic activities to enjoy. 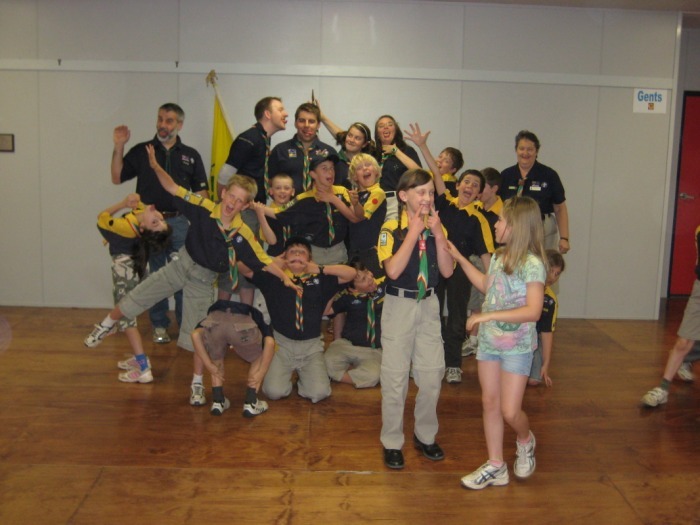 Meet other Cubs and Leaders from across the Region. This is the day when all Scouts all over the world go on a hike on a trail in the bush on the same day. I hope you can make it. There is a cool badge for all participants. This year we are going for a hike at North Head. Cost is $4 to cover the badge. Please bring your note and money on Wednesday. Off to the Rockhouse this week! Let's go indoor rockclimbing, at the Rockhouse. Please bring both notes, $13 and an adult to belay. The more adults the more goes the Cubs get. This is a special invitation only camp for potential and current Sixers and Seconds. It is held at Ingleside Scout Camp, over both days. Cubs learn all about how to take leadership of their Six, including cool new games, how to run a Pack Council, and meet lots of leaders and other senior Cubs from around the district. On Saturday the 19th May we will join all the Cubs o leadership Camp and all the other Cubs in the district at a giant Campfire, at Ingleside Scout Camp. 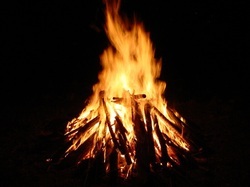 Join us for a wide game, BBQ dinner and then campfire. The whole group marches together while proud parents look on. Wear the correct uniform: Neatly ironed and rolled scarf, beige pants, school shoes. Meet at Brookvale Public School and march down the centre of Pittwater Road to the memorial at Brookvale Bus Depot in the company of veterans, bands and cadets. Afterwards there is a great breakfast put on by Brookvale Bus depot. Calling all Sixers and Seconds to atttend a Pack Council meeting where we review the next term program and plan a new pack holiday. Silver Boomerangs ( 9 year olds) should come to 2 pack councils, out of four we will hold per year. 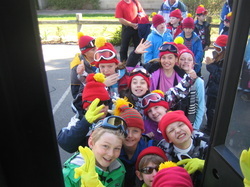 A group of keen cubs and leaders headed off on the Cub Scout Snow adventure weekend. They were joined by Cromer Dee Why and Harbord packs. More photos on the Snow Trip page. The Cubs have been given their seeds, now they need to plant them and look after them. This can count towards their badgework, including a Landcare badge. 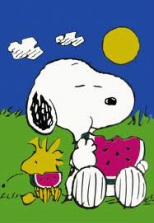 Plus when we have all those watermelons next year, we can have watermelon competitions! Refer to www.juniorlandcarechallenge.com.au for instructions. Zoosnooz is coming up at the end of term. However there are very limited places so you must get your money in by 29 February. See form below. This is the form for Cubs, separate forms for Scouts and Venturers. Try out sailing at the Scout Harbour Base. Bring your note and money this week so we can let the organisers know. 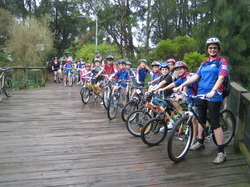 This Wednesday we are going to the BMX bike track ar Terrey Hills. 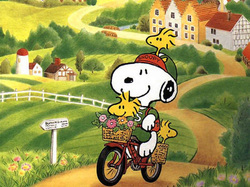 Don't forget your helmet, and wear sturdy shoes, long pants and long sleeved shirt, as there could be a few spills. If you went to the Bike Camp bring your Cycling Log Book, you may have earnt your Level 2 badge! Remember to bring your note. Sirius Cup is a state wide regatta for all sections. Includes sailing, canoes and iron scout events. Together with the scouts we will be camping at Balmoral Oval for the weekend. 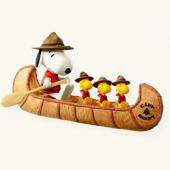 There are Cub canoe events on Sunday morning that we will compete in. There are team events with 2 and 4 cubs in age groups. See the photos from last time to get an idea of what goes on. 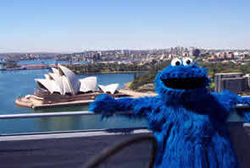 On Saturday w2e will do some practice starts and maybe go for a walk around the harbour. Keep the weekend clear, details, permission forms, costs, etc, on the permission form A1 below. To compete in the sailing events requires a Scout Level 2 sailing certificate, so we will only be competing in canoe events. Wear uniform and bring your yellow book. Also we need to know numbers to buy food for Sirius Cup this weekend. Thanks to all those who have already handed in notes and money. To celebrate the Leap Year we are having a swimming night at Curl Curl Rock Pool, Carrington Pde, South Curl Curl. See permission form A1 below. Just cross out the old date, and write on the new one. Bikes, bikes and more bikes!!! Download the A1 Permission note below. End of term Cub Christmas Party where Cubs will have a blast! Dress: Christmas gear! Bring your scarves, as we will invest two new members. Download and hand in A1 permission note this week! Apr 22-24 (Easter) Cub Family camp at Camp Windeyer, near Berowra. Details to follow. Apr 25 (Easter Monday) Anzac Day March. Join with the Venturers, Scouts and Joeys in the Anzac Day march. Meet at corner Pittwater and Old Pittwater Rds at 6:25am. Wear full uniform and polished school shoes. May 21-22 Leadership Camp at Ingleside. Attendance by invitation. June 5 (Sunday) Jamboree on the Trail, hike from North Narrabeen to Mona Vale Beach. June 11-13 10 year olds camp with the Scouts at the district camp. Aug 7 (Sunday) Tree Day at Ingleside. Sep 14 Visit to Oceanworld at Manly, A1 form above. Oct 7-9 Cub Snow trip. Final payments now due. Oct 15-16 JOTA. Visit the Scouts at JOTA, use the radios and computers. Oct 28-30 Cub District Camp at Kariong. 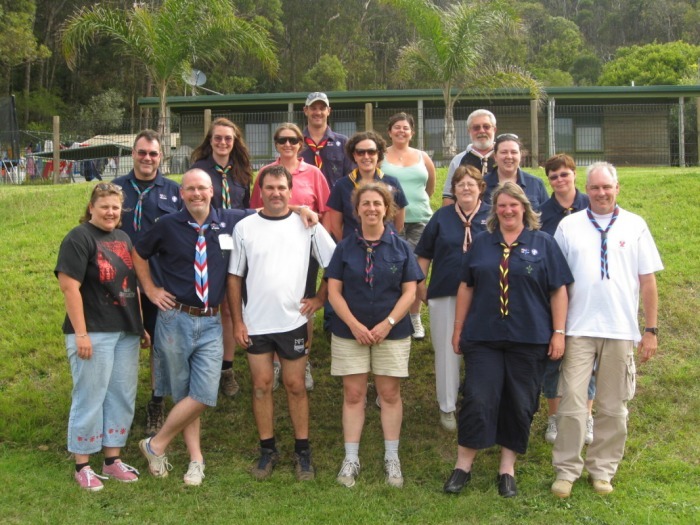 Please ensure that your Cub is available to come to the district camp at Kariong on the 28th to 30th October 2011. This will be an excellent opportunity for them to camp in their Sixes, meet other cubs from the Northern Beaches and HAVE FUN! Cost is $65. Past and present Brooky cub scouts going to Yamaha Music festival. Mar 9 Pack Council Sixers and Seconds only. Mar 16 Warriewood Wetlands Walk. Walk to the waterfall. Trail marking (boomerang test). Maybe check a geocache if time. Meet at Katoa Reserve, just past the corner of Garden St and Jacksons Rd. Bring a drink and insect repellant. Parents and siblings welcome to join in. Invest Joeys who have come up. Bring signed A1 Permission Form above. Mar 24 (Thursday) Climbing at the Rock House with the scouts, going up ceremony for Daniel, Carissa and Mitchell. See email for A1 and Rock House release form. Mar 27 (Sunday) Canoe course Narrabeen Lagoon, Download see A1 and A2 forms above, payment of $15 due Mar 23. Mar 30 Hall. Badgework, finish First Aid kits, investitures, hand out badges. Bring your Yellow Book. Apr 6 Anzac preparation night. Marching practice, visit the memorial at the bus depot. At the hall. May 4 First meeting Term 2. 30-31/10/10 Shakedown camp, Ingleside Scout Camp. For all cubs, leaders and parents that will attend Cuboree. See note above. 10/11/10 Brookvale hall Skipper duty leader SELF EXPRESSION Cubs can prepare to sing a song or play a musical instrument. Also bring a poem, short story or a report or a newsletter article that you have written. These will be marked off, but not read out. (Hint, they can be from school) Alternatively there are magic, juggling, puppet options. Check your yellow book. PLEASE BRING YOUR YELLOW BOOK TO BE SIGNED OFF. 28/11/10 Out and About Brookvale - Curl Curl Cub Scouts are not attending Out and About this year due to a lack of numbers. The camp for new leaders was just like a cub pack holiday, only for adults! We slept in bunks, ate lots of yummy food, had opening and closing parade, played games, made new friends, had a campfire and learnt lots of cool things! See Sebastian's report on the Sirius Cup Regatta, as part of his Creative Writing target for the Gold Boomerang. 03/02/10 UNIFORM Brookvale Hall, meeting, collect two notes, Swimming next week, Canoe Course fortnight. 10/02/10 SWIMMERS Dee Why Pool, meet at top car park, can you swim 50m in a PFD? Required for those going to Canoe Course. 16 places booked only, get in quick, so you can qualify for Sirius Cup! 31/03/10 UNIFORM Brookvale Hall, end of term PARTY NIGHT. Cub Parent Meeting, at 6.30 for 15 minutes. Other siblings are welcome. 9-13 Jan 2011 Cuboree at Cataract $220, parent helpers $180. 11/04/10 SUNDAY / Casual / Jamieson Park. 8km bike ride right around Narrabeen Lakes. 10am to 2pm. Bring water, lunch and a couple of parents. 21/04/10 / Uniform / Brookvale Hall / Masks and sculptures / origami / paper planes and ANZAC DAY practice. Which SIX has the most correct uniform? (PRIZES). 25/04/10 Anzac Day March, 6.30am Pittwater Rd, Brookvale. Please wear proper uniform, correct beige pants, a belt, school shoes. 6/05/10 THURSDAY Rockhouse, Winbourne Estate, Brookvale, with the Scouts. 6.30 to 8.30. Casual gear, non slip shoes. Please find the form above. 12/05/10 / Uniform / Brookvale Hall / Scouts in Action : First Aid. Special badge for this night! 20/05/10 THURSDAY uniform Warringah Mall outside Woolworths Trolley Push, our major fundraiser for Scout Job Month. 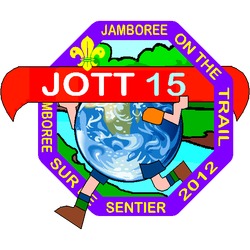 Who is going to JOTT? 21-23/05/10 FRIDAY TO SUNDAY Arrive in uniform / Ingleside Cub Camp / Conservation Camp. Includes a visit to Featherdale, cubs earn three badges in total! Highly recommended. Please find the form above. 26/05/10 no normal meeting. Pack Council, sixers and seconds and new leaders. : Charlotte, Daniel, Aaron, Melanie, Aurelie, Carissa, Mitchell, Jonah and Simon and Bronte: how do I lead? Program ideas. 30/05/10 SUNDAY Annual Dinner and AGM. From 4pm. A short meeting followed by Dinner, please RSVP so catering can be arranged. For the whole family. 02/06/10 Cubolympics / Curl Curl Hall. 09/06/10 / Uniform / Brookvale Hall / Promise and Law / Campfire night for Red pack. Term 3 2010 is Cub Vs Wild! We will be preparing for wild adventures by learning about compasses, maps, trail signs and by training our senses! There will be WILD craft too! All meetings are at Brookvale Scout Hall unless advised otherwise. Full uniform. 21 July Cooking for Trivia Night – Rock Cakes. Need 4 parent helpers. Everyone must bring Yellow Books. 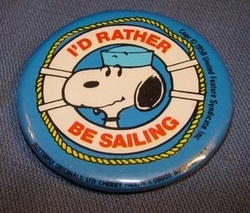 Duty Leader Skipper. There will be a number of prizes throughout the night, including a lucky door prize as well as spot prizes. The teams will be made up on the night so they cover most ages, with the intention that each team is hosted by a Leader. Make sure you bring your thinking caps. It looks like it is going to be a great night! 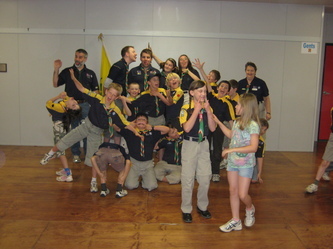 28 July Scout Marketplace, combined meeting with Scouts. Cubs will be doing tests from Yellow Books. Duty Leader Rikki. 25 August Palaver. Rules re Parade. Allocate sixes from the first week. FINAL CUBOREE PAYMENT DUE. Parents please see Rikki. Please bring your yellow books. 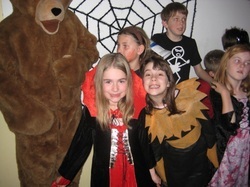 13 October First week of Term 4, look at Family Camp and Snow photos, favourite games. Bring your photos on a CD or USB.